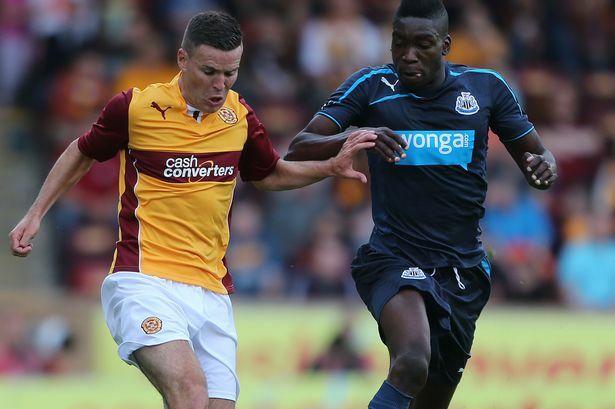 Sammy Ameobi is being prepared for a major role in Newcastle United’s season as the club look to find a new long-term left-wing solution. The Journal understands that the club made an enquiry about Blackpool’s Tom Ince after Alan Pardew asked Mike Ashley to finance a deal for a left-midfielder at the start of August. The Tangerines’ asking price of over £10million put off United. But it is a clear indication that the management team are looking for competition for Jonas Gutierrez, who is likely to miss the Aston Villa game with a hamstring injury. England under-21 international Ince remains a target who may be revisited in January as his contract runs out in the summer – which makes Blackpool vulnerable to Premier League predators. But United’s interest is likely to depend on the development of Ameobi, who has impressed the coaching team with his improvement in the summer break. 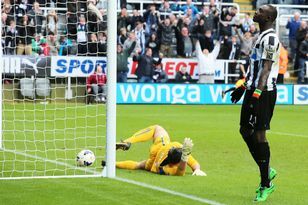 Although he is one of Newcastle’s longest-serving players, Gutierrez is under pressure from the club’s management. His first-team position has been all but guaranteed in the last two seasons, but Ameobi and Sylvain Marveaux will challenge that spot in the run up to January as the club begin to consider longer-term options on the flank. The Argentina winger is contracted until 2015 but Pardew’s request for left-wing back-up indicates that the club want to push him for better performances – just as they do with Papiss Cisse, whose performances at the start of the season have been mediocre at best. Newcastle will move on until January with their existing squad in place and then assess their options for the New Year, when they will consider another move for Lyon striker Bafetimbi Gomis. He spoke of his regret at missing out on a move to St James’ Park on his Twitter account on Monday and the club will consider whether to go back in for the France international, whose wage demands were a key factor in making the deal difficult to broker. Again, much will now depend on the form of Cisse – who is yet to click in Pardew’s preferred system. The hope is that he will operate better in a more orthodox front pairing with new arrival Loic Remy, signed on loan from Queens Park Rangers. Pardew was full of praise for the France striker after Saturday’s defeat of Fulham. He said: “Remy is a thoroughbred. You can tell he’s a proper player. “He looks the part and carries himself well. The players have taken to him, and he’s a good guy. We’re lucky to have him.” The dust is still settling at St James’ Park after a summer window in which the club were only able to land one attacking reinforcement despite talk from both Pardew and director of football Joe Kinnear that they would be aiming to secure more. Pardew is unlikely to speak again until next Thursday’s press conference to preview the Aston Villa game, while Kinnear continues to keep an uncharacteristically low-profile. So far the only statement from the club is the manager-endorsed missive that was released on Tuesday afternoon in which the Magpies boss said he was looking forward to the rest of the campaign with “optimism”. Meanwhile, ex-Newcastle defender Steve Howey fears the club could find itself in a second successive desperate fight against relegation. He told talkSPORT: “Last season, they struggled because the squad wasn’t strong enough.